Today’s guest mix see’s us get all cozy with one of our closest housemates. ‘Sixth Avenue Express’. Hailing from the peak district and based in London this producer has been flourishing this past year and has been growing a decent following as a result. Known for making emotionally delicate and subtly details productions SAE has a way with chords and vocals that is pretty rare for a producer so young. Having just released a solo EP with us called ‘I See’ (available HERE) we thought it was a good idea to reveal a little more about this artist and what they are all about. Their mix is as we expected it to be, mid-tempo for the most part and sultry as hell. The tone is set from the get go with their choice to open with Darkside’s beautiful ‘Paper Trails’ and their leaning towards music with a warm soul is no better typified than with the inclusion of Candi Staton – Hallelujah Anyway (Larse Vocal) and a particular highlight for me is Terrence Pearce’s beautiful Halcyon which conjures memories of ‘man with a red face’ moments. It’s not all calm waters however as tracks like Max Graef’s Kotschleuder make sure your feet are still working. There’s also a track from their latest release with us called ‘Clandestine’ and another one to aptly see the mix out called ‘Goodbye’ which has just come out on a limited pink vinyl (available HERE). We caught up with Sixth Avenue Express to have a chin wag. Firstly, let me get the obvious stuff out of the way, where did the name come from? It actually came from the Bob Dylan lyric in the song Visions of Johanna “And the all-night girls they whisper of escapades out on the D-Train” – with the D-Train being an alternative name for the 6th Avenue Express, a subway line that runs through Brooklyn. Obviously the name D-Train had already been used by the 80s R n B duo so I just went with Sixth Avenue Express. You have been producing for a while now but your group of friends aren’t really into the same music as you, how did you get into making this kind of music? Throughout my teens and university I was listening to indie/post punk/garage rock pretty much all the time – being in a rock n’ roll band was all I ever wanted to do! However, towards the end of university I became friendly with a group of people who were into minimal techno and (some) electro. Around the same time I also started to realise that the band thing was not really working out and that if I ever wanted to get my music out there I’d pretty much have to learn to record properly myself. I started off making some really dark techno tracks, but coming from quite a melody driven background something just didn’t seem to click. 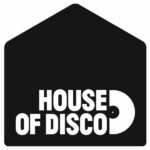 After originally getting into Metro Area I realised I was a massive sucker for bendy disco synths, tight kicks and disco claps, and from there I started to delve deeper and deeper into the history of disco and funk. Who are your 3 favourite producers from times gone by and 3 you’re currently liking? Metro Area have always been what I would consider the best of the best, I really wish they’d make a new album together! In terms of classic disco, Gino Soccio is a bit of a hero for me – his productions were always so well arranged and yet still tight. They were also not too over the top, like a lot of late 70s early 80s disco could be. Giorgio Moroder was a big influence when I was originally getting into disco too – I used to listen to the LP From Here to Eternity all the time, but his back catalogue as a producer for other bands and artists is unreal too. In terms of current producers, Max Graef has really stood out for me recently. His productions so effortlessly dive in and out of disco and deep house grooves, never getting stale. Over the past year or so I’ve loved a lot of tracks that Wolf Music have put out, especially KRL – he’s always on the money for me. Also, Axel Boman’s new LP Family Vacation is great, particularly the tracks Fantastic Piano and Hello – they’re so thought provoking. Your productions are always quite slowly paced, is this intentional or does it just happen that way? What kind of music did your dad listen to? Whats the most embarrassing album you ever paid money for? What do you look for in a good vocal to sample? It totally depends really. Sometimes I hear a vocal sample that really gets me and I think, ‘I’ve got to do something with this’, like in Bobby McFerrin’s in Catch Me. Other times though, I make a track first and try and work a sample in towards the end. it can often take a lot longer to write this way as it’s more of a trial and error approach. What are your aspirations for the coming year? Any boxes you are going to try tick? I just hope that I can continue to build on my production skills and hopefully create my best works yet – I think it’s important to always strive to get better and better. Apart from that I hope to do a lot more gigs in London and hopefully try and incorporate a bit of a live jamming element into the dj sets. If you could slap one celebrity, who would it be? Wow – such a hard question as there are so many to choose from! Piers Morgan would have to be quite high up on my list, he’s such a smug ****.